There are tons of awesome activities you can do during your visit to Taupo. Here are some of our favorites, and be sure to ask us for personalized recommendations when you check in! The Tongariro Crossing will treat you to amazing views of three active volcanoes -- including the one used as Mount Doom in Lord of the Rings. There’s convenient round-trip transport from Taupo, and guided options are available. Taupo is the cheapest place to skydive in New Zealand, and it’s one of the most scenic too! 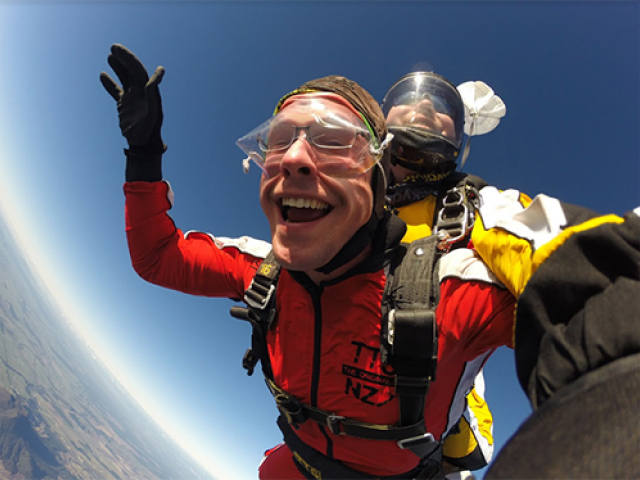 Jump from 12,000 or 15,000 feet and enjoy breathtaking views of Lake Taupo and its surrounding volcanoes. There are some fantastic rapids around Taupo and several rafting companies to help you enjoy them. 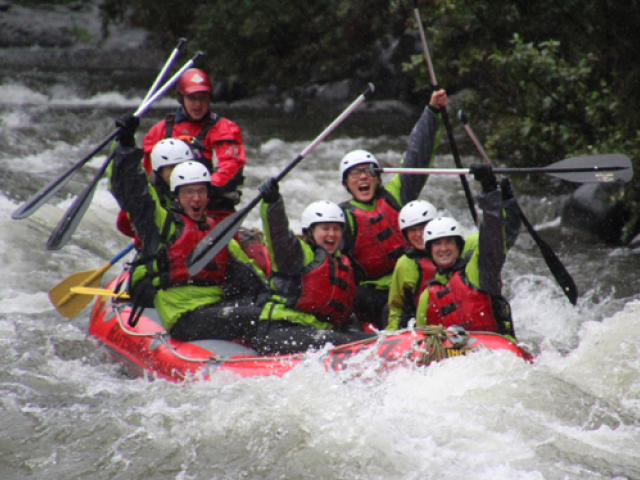 If New Zealand’s rainy weather has got you down, just go rafting - you’ll be wet anyways! We rent out top-knotch mountain bikes so you can explore Taupo on your own. From mountain biking trails at Craters of the Moon to leisurely rides along the lake shore, there are plenty of choices nearby! One of Taupo’s most visited natural attractions, Huka Falls is within walking distance or just a short bike ride from Rainbow Lodge. Or, if you want to experience the Falls from a different angle, ask us about seeing them by jetboat! 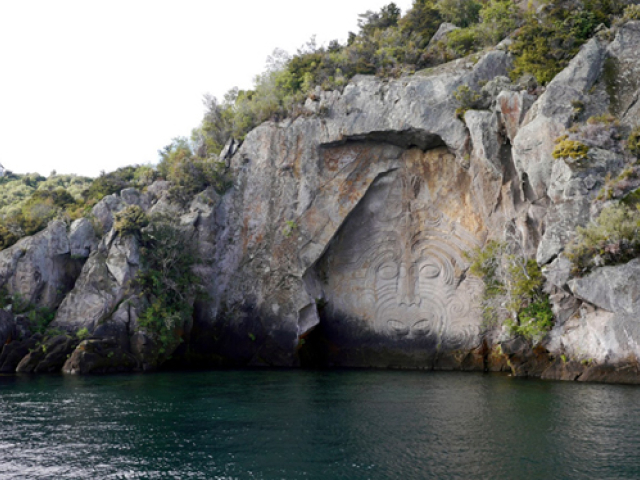 Whether you rent a kayak or board a sailboat, you must go on a lake cruise to see the Maori rock carvings. It’s the perfect way to experience the lake and enjoy a sunny Taupo day! Be sure to book your Taupo activities through us -- sometimes we can get you a discount! This backpacking guide from Destination Great Lake Taupo is chock full of useful information for your stay here.